Easily attachable and detachable from the front swivel stud. Folds forward when not in use. Underside of bipods have a swivel stud so rifle can still be used with a sling. Prone weighs only 1012 oz. lighter than most competing models. Aluminum and glassfilled polymers makes bipods virtually weatherproof and rustproof. 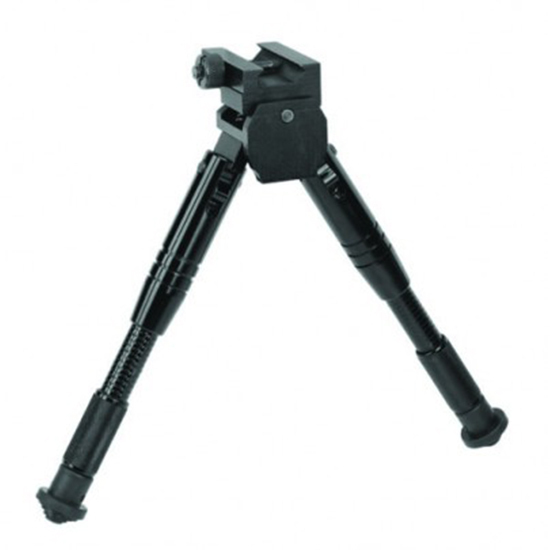 Features 18 degrees of available cant tilt in either direction and rotates left or right 20 degrees without repositioning bipod legs. Adjusts from 834 to 12"."